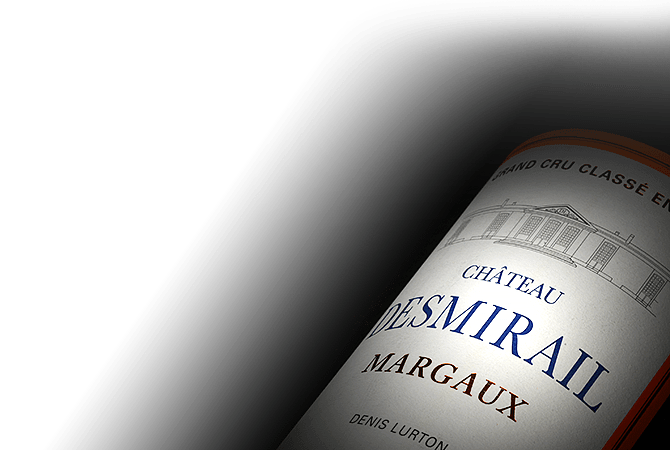 Chateau Desmirail, classified as a Third Growth in 1855 Located on the famous "Route des Chateaux" in the Medoc Appellation of Margaux. The Chateau boasts a historic 19th century vat room with its original wooden roof as well as new artisan crafted oak vats, which were inaugurated in 2010. The estate's vineyards are comprised of 60% Cabernet Sauvignon, 37.5% Merlot and 2.52% Petit Verdot. Since taking over from his father in 1992, owner Denis Lurton has continuously invested in modernising the estate, which produces smooth, elegant wines that are in the classic Margaux style.